High school club karate members performing 'Jion' kata for junior high students. In April Seiritsu Gakuen opened a junior high school program. 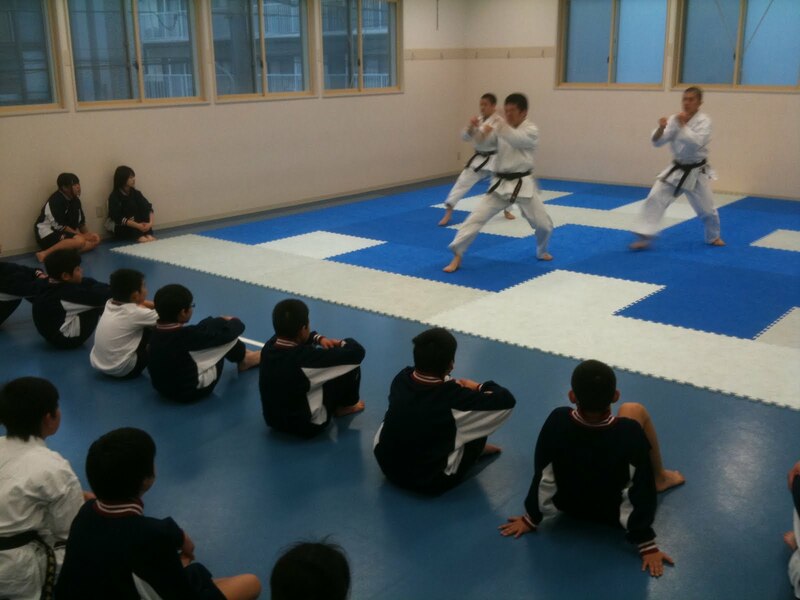 For club activities, the students are in an 'All-Sports Club' trying new sports for about 2 months at a time. Mainly boys have come to the karate dojo, and the two months will end with a demonstration at the school's Sport's Day in June. Most students will then try the next sport, but those who are really interested in karate can stay on to become the new junior high school karate club. Some girls and boys are already wearing karate uniforms, so I think that's a good start!